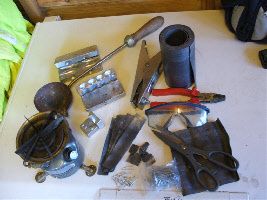 The following article demonstrates how to make your own leads. 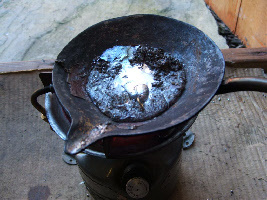 Bowl of cold water, be sure to keep this away from molten lead. 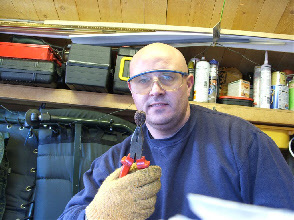 We hold no responsibility for any accidents that could occur - you must take care and use correct safety equipment. 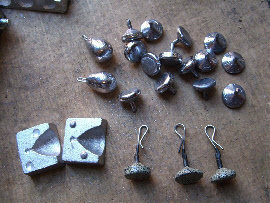 Safety is paramount here due to hot molten lead and hot moulds. 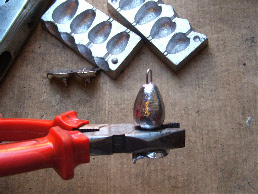 Cut the lead into squares of about 20mm across with a pair of scissors. You will need approximately 40 to start. Light the stove. You must put on your gloves and safety goggles at this point. Clamp the lead mould together with the clamp ensuring the lead wires have been inserted into the mould. 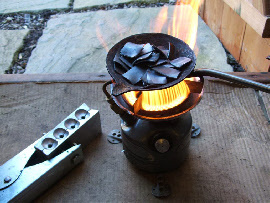 Heat the mould over the stove flame for 2-3 minutes. 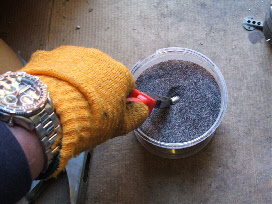 You must do this as the mould could explode when the lead is poured in. 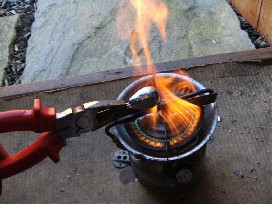 Holding the pouring ladle with your gloves on, warm it up on the flame and add strips of the lead to it one by one until the spoon is 3/4 full. Do not overfill the ladle. 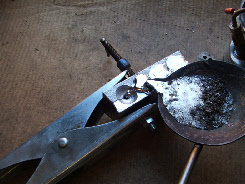 When the lead in the ladle has melted, gently warm the lead mould clamp again for 10 seconds - this will ease the flow of the lead. 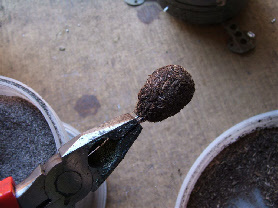 Then gently pour the lead into the mould. Do this for all four leads in the mould. Ensure that the ladle is off the heat and in a safe place where it cannot fall over. 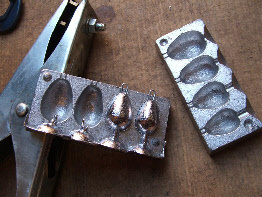 Leave the mould to set for a minimum of 3 minutes. 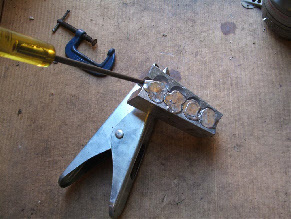 After the lead has set take the clamp off the moulds. It will still be very hot so take care. It may still be held together with lead so you may need a screwdriver to prise the parts apart. 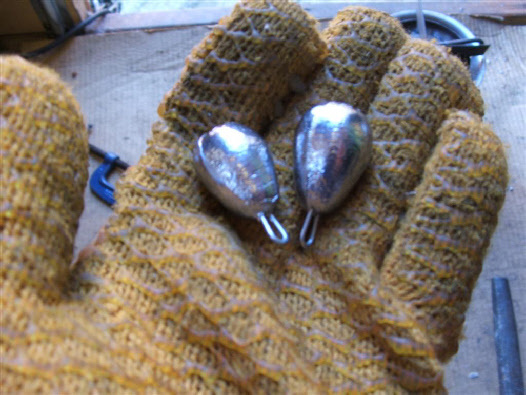 You will have four identical leads. 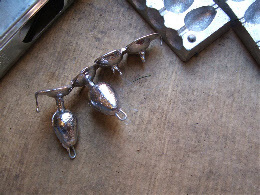 Note how two of them have gone wrong, this is to show that you have to pour the lead in correctly. 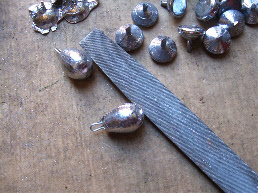 Allow the lead to cool for 5 minutes and then using a pair of pliers cut off the scrap lead. 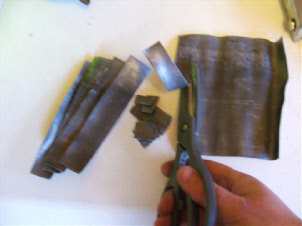 Then use a file to remove the rough edges and make it smooth. Any leads that have gone wrong can be melted down again in the pouring spoon. 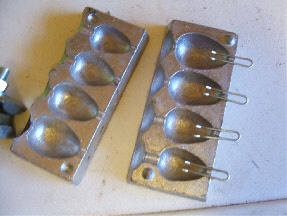 The offcuts of the lead mould can be used as back leads. For light back leads all that is needed is some silicone tubing to fit over the offcut and some wire in the shape of an "R"
Once the lead has been trimmed, hold the wire end with pliers. Warm the lead all over for 10-15 seconds. 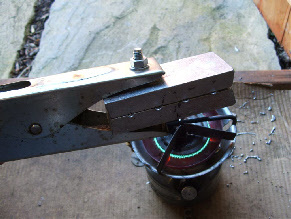 Don't let the lead get too hot or it will melt. 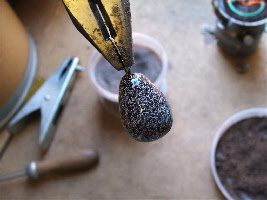 Then dip the lead in the coating. 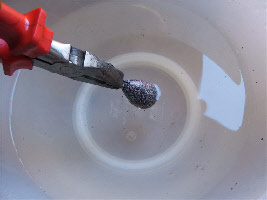 Or, warm and dip again in coating for a dull finish then cool in cold water. 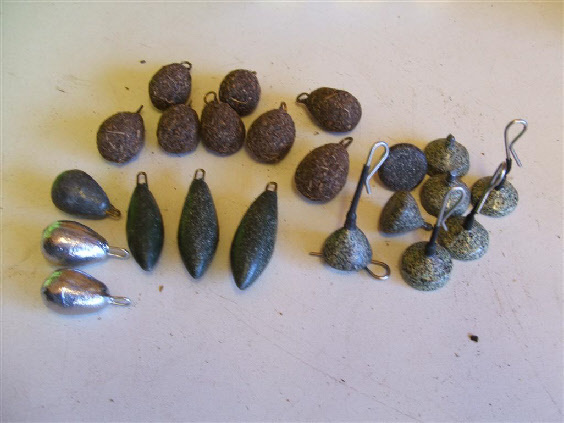 Leads can be coated with anything you like after the first coat of plastic coating such as sand,bark,moss,small twigs. 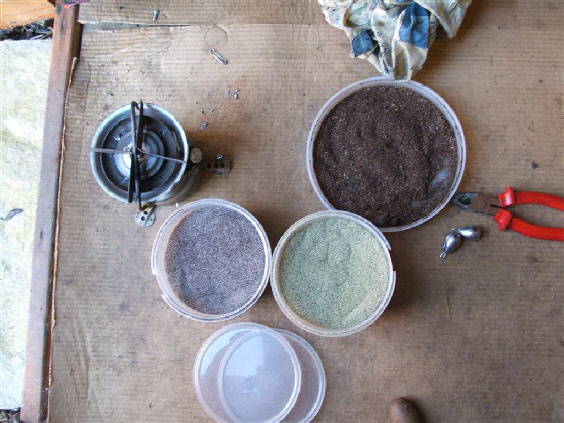 The following shows bark that has been ground in a coffee grinder. 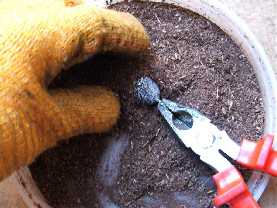 After coating the lead twice, warm it again and roll in the ground bark till it is covered completely. Then simply cool it in cold water and dry off.